Luang Namtha Province in Laos has more than you may know about...Beautiful landscapes, wonderful people, nature rich in biodiversity, adventure and delightful cuisine. 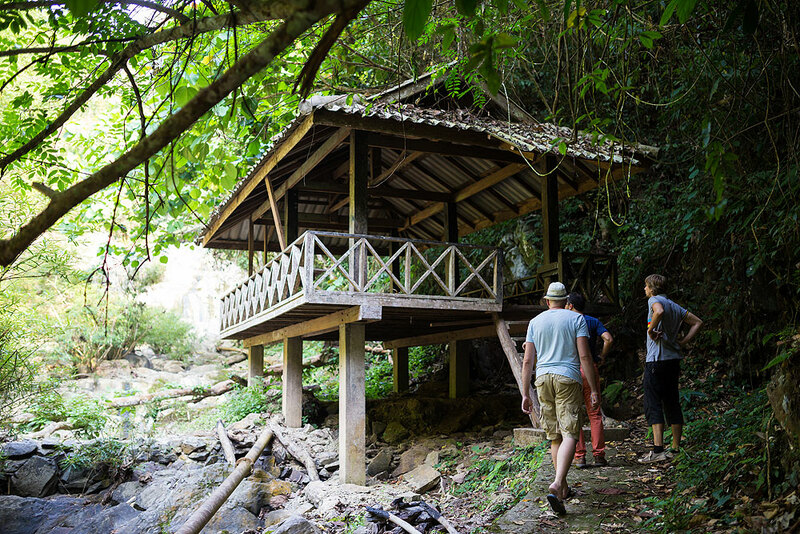 Come and discover Ecotourism at its best! Luang Namtha also needs you! Your presence sends a message to the local people that they, their culture and their natural resources are important and have value. Your participation in a trekking, mountain bike or kayaking program will not only give the villagers in the forest a significant alternative source of income, you will also be contributing directly to wildlife and forest conservation projects through access permits. Is a family owned and operated business in Luang Namtha, Laos' northwestern most province. Nearby is the Nam Ha Protected Area, the Namtha River and Lao ethnic villages for rafting, trekking, and local exploration. 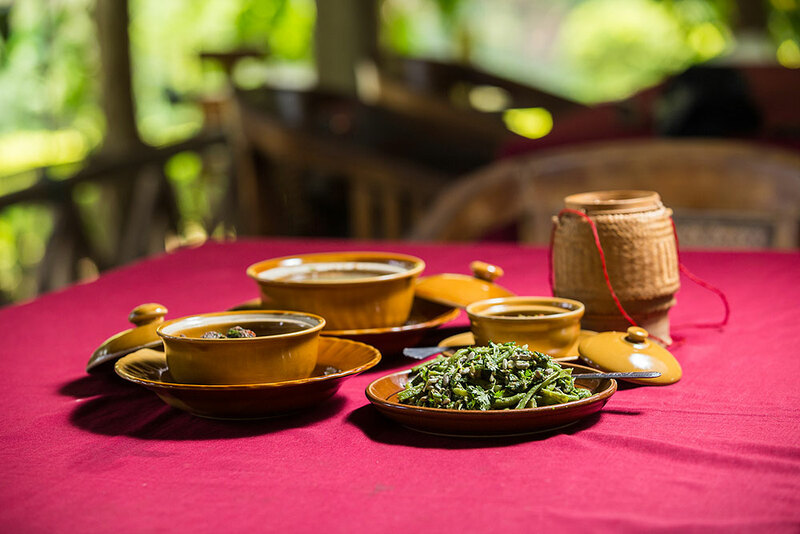 Our restaurant serves local Lao food with a large selection of vegetarian choices. We are located 6 kms from the provincial town and just 1 km from the airport. After a day out and about you can come back and relax in comfort and style. On the banks of the Namtha, enjoy genuine Luang Namtha cuisine in our open verandah restaurant while watching life by the river. 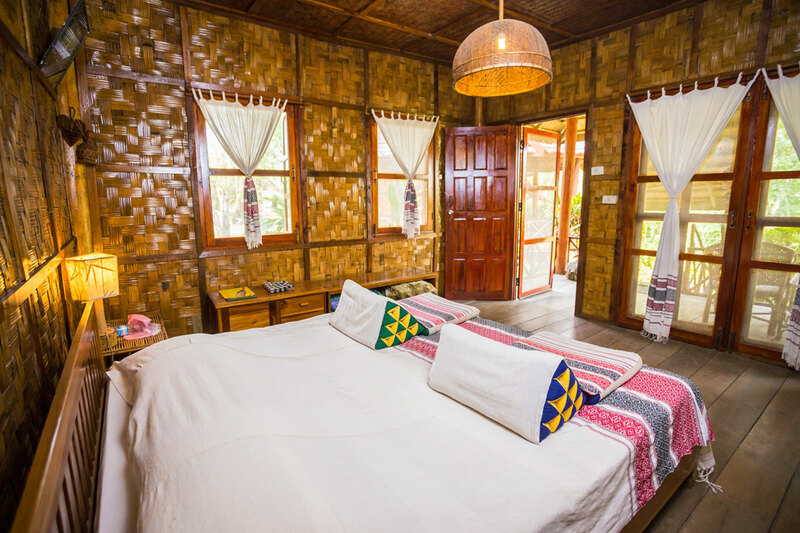 Our bungalows are constructed with local materials in a local Lao style adapted for your comfort and pleasure.